You just keep on telling yourselves that girls…. Well, it’s like I say in the introduction, if you’ve been following the franchise, you probably know what to expect. If this is your first time ’round, then I can give a brief TL;DR. It’s all about the characters being a chew-toy to the “plot”. Tragedy is when you try to, with the goodness of all intentions, befriend a hungry bear and get Smash Bro’d off the screen. Comedy is when it happens to Sherl. 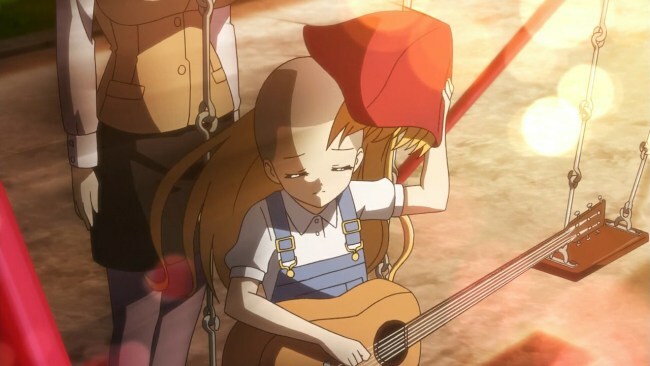 In the first series of the show Tantei Opera Milky Holmes, the main cast lose what are called Toys, a superpower of sorts. In this world of semi-futuristic Yokohama, the Great Detectives and the Gentlemen Thieves are the usual recipients of said Toys. Unless of course your Sherlock Shellingford, Cordelia Glauca, Nero Yuzurizaki, or Herclue Barton (left to right in above pic). When they had them, they were the best the Tantei (Detective) Academy ever had. When they lost them…..pure chew-toy. No wits, no brains, no clues, nothing but pratfalls and harebrained logic. This was, of course, the plan of the Great Gentlemen Thief Arséne, who stole their Toys to make them….better. It fails, humorously so. I rather enjoyed the first season, but felt the second one indulged in flanderization tropes to it’s discredit; what was goofy humor became perverse and at times, just idiotic…. 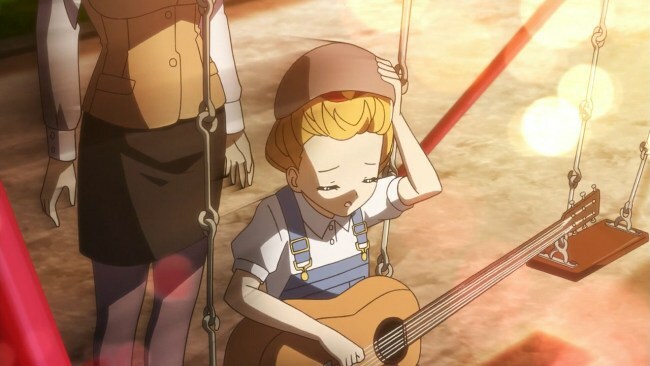 Stealing idol voices….it’s a metaphor for illegal downloading? Maybe? No…..who cares…. 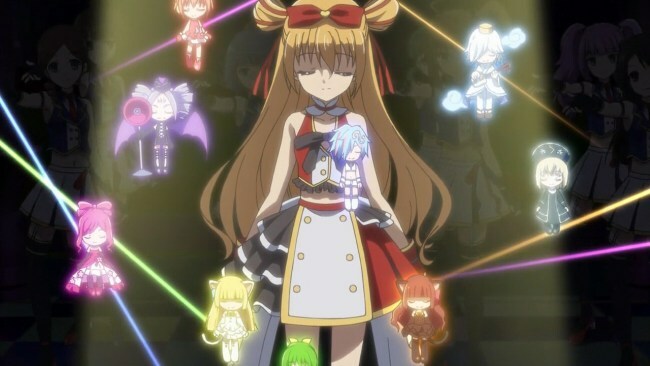 So while the first two outings of the franchise were marked by insanity, they released two OVA’s based on a video game where they were with Toys, and cool, confident, and collected, Milky Holmes Alternate. Fans generally hated it, but liked the idea of competent Toy using detectives. 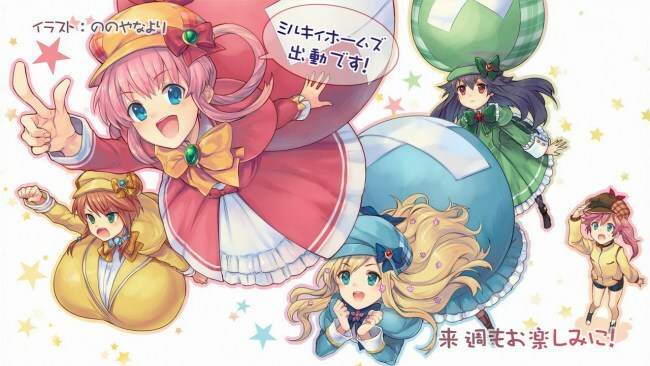 So, they then gave us Futari wa Milky Holmes, the adventure of Alice and Kazumi, two elementary school students with Toys that form their own detective duo. It was a bit more serious, with a somewhat approachable non-comedic plot. Fans didn’t like it. And with that in mind, I do wonder what the fans reaction will be to this Extreme fourth series (the titular Kageki…maybe TD means True Detective). 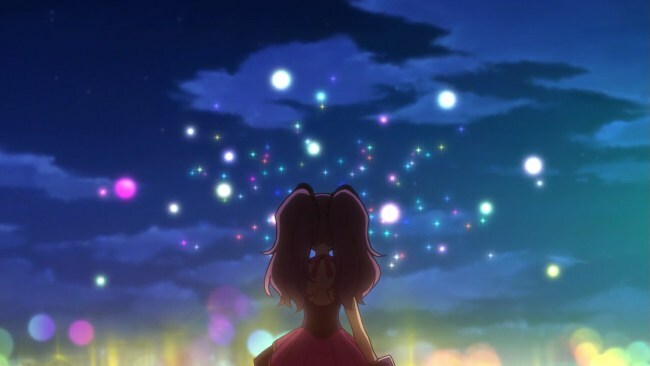 It feels like they’ve split the difference between the first series and Futari wa, giving us something a touch less brain-damaged, but still generally goofy. So in this new adventure, our set up is a mysterious new Thief stealing all the voices of the popular idols in Yokohama. Not just the singing voice, but all the data on the CDs, eTones (I’m avoiding a lawsuit folks), clouds, and one would assume any eight-track tapes that remain popular. 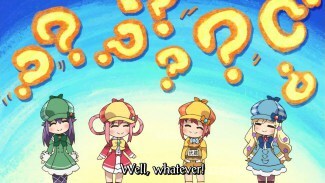 So both the city’s top police detective, Kokoro Akechi (don’t call her Kokoro-chan) of the Genius 4 (the other three are out sick, or trying to figure out life, or returning a book for this adventure) and our Milky Holmes are on the case. 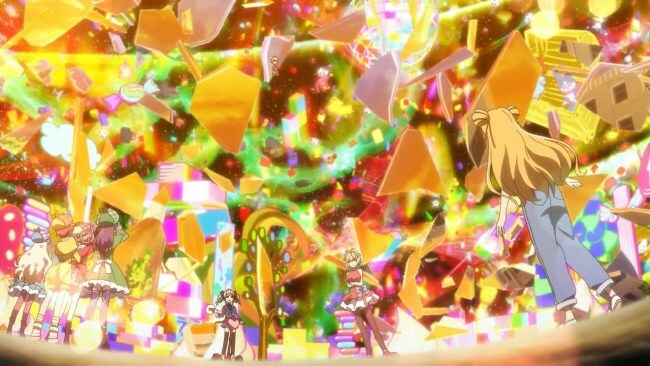 …and it looks like the prime target is the possessor of a unique Toys called Elements, the joy and happiness of an idol singing music….or…stuff like that…..Marine Amagi of the idol group BKT 1000 (feckin’ heck Japan….get some new writers!). But it looks like her manager had a bit of a convoluted plan to set Marine up for early retirement, just to cash in on a rare figure deal, Marine’s hour of shame. 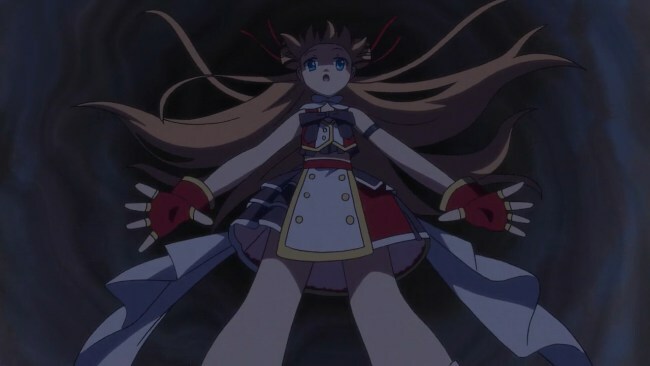 Or was it Melodia’s possession of said manager that caused it all? Or does it even matter? I’m guessing the Elements affect different peoples in different ways…. Cause losing her Elements just made her a horrible comedian…. They used the honey to attract bees that stung them to lumps that float like helium balloons…..because….reasons…. …cause really this is how all great detectives operate. A specific soil in a boot print? Nah. A certain kind of tobacco ash and the shape of one’s hands. Balderdash. 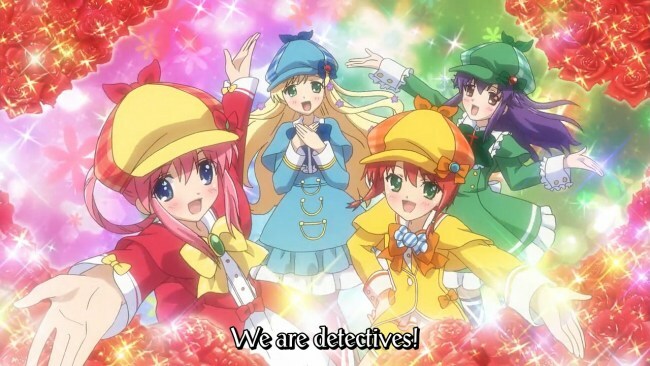 It’s all about being Milky Holmes….that’s how you solve the case! *Milky* Holmes. LOLis should have their milk. Well, I guess until this show hits an official stream this is the most I will get…. 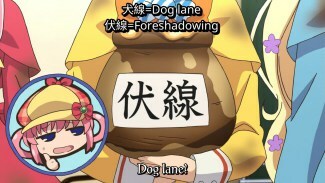 This is the kind of Milky Holmes I like, and as you mention about Futari and Alternative’s approach to be more serious, it seems like from the 1st ep that they might try to find a balance; though I guess that depends on how long the idol case lasts in regards to episode count. There were a couple episodes in the first 2 seasons where things got real, and they were sorta standout eps to me because I was impressed at how they were executed in the midst of the derpy bits that go on each episode. If they do strike that balance I think I’ll be pleased, as a third time repeat would make it somewhat unwatchable.